Kuri Tec lightweight reinforced polyurethane pneumatic air tool hose. An extremely lightweight, tough, flexible pneumatic air tool hose that is suitable for a wide range of industrial and construction applications. 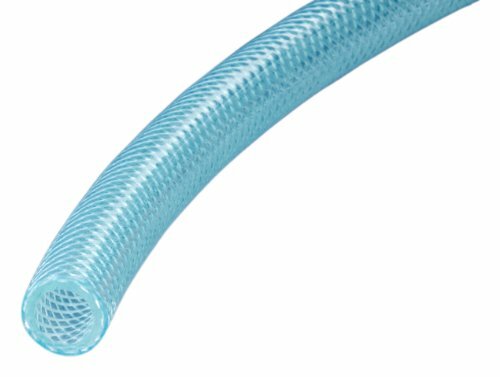 High abrasion-resistance provides extra long life compared with conventional PVC or rubber air hoses, good resistance to hydrolysis and algae in warm water applications, silicone-free core and cover, non-conductive compounds, non-marking cover, one-piece lengths. Applications: for use with pneumatic air tools such as roofing nailers, sanders, chippers, impact wrenches, screwdrivers and staplers, in-plant assembly line air service, automotive repair and body shops, construction sites, marine applications, air service for spray painting equipment. Working pressure: 250 psi at 70 degrees F and 200 psi at 122 degrees F. Compliance: RoHS. If you have any questions about this product by Kuriyama, contact us by completing and submitting the form below. If you are looking for a specif part number, please include it with your message.